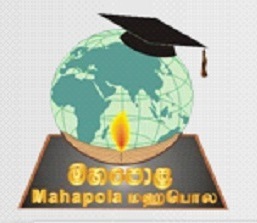 The government was contemplating increasing the monthly Mahapola Scholarship grant from Rs. 2500 to Rs. 6000 as it had been found that the majority of the scholarship recipients could not manage with the present allowance, Higher Education minister S.B. Dissanayake disclosed at the presentation of Mahapola scholarships to 711 undergraduates of the Kandy district yesterday at the Kandyan Art Centre, Kandy. Minister Dissanayake said that the ministry with the blessings of President Mahinda Rajapaksa was engaged in planning to introduce a scheme of studies in the universities of the country which could facilitate undergraduates to engage in part-time jobs in the private sector. Some private sector entrepreneurs had already expressed their willingness to cooperate with the government to implement such a programme. In some foreign countries university students enjoy the facility work part time, the minister said. He said President Mahinda Rajapaksa was working on a plan to extend some kind of relief through the next budget to the private sector that came forward to offer part-time employment to university students. When the new scheme came into effect undergraduates could continue their higher education without being a burden to their families, the minister said. Chief Minister Central Province Sarath Ekanayake, Deputy Minister of Internal trade and Cooperatives Hemal Gunasekera and Kandy district secretary Gamini Seneviratne were among those present.